No proof of income or address needed. If you're here before 9 am on any Saturday morning, we will give you food. 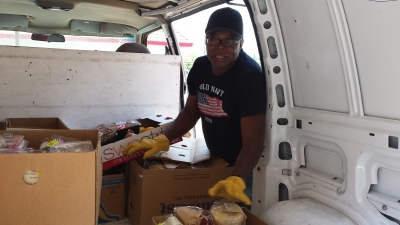 Rondy is busy all week long preparing for the big food distribution on Saturday mornings, collecting and sorting and getting everything ready. On most days it's a one-man-show. Rondy works 7 days a week at this very important ministry, yet on Saturday morning you'll find him to be the life of the party, welcoming everyone, laughing and joking with everyone in the line. We are very blessed to have such a faithful Pantry director like Rondy! Volunteers help Rondy behind the scenes during the week. Running the Food Pantry is a big job, even for someone as capable as Rondy. 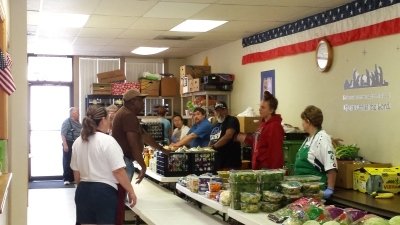 A few volunteers help clean, sort and organize the food several days a week once it arrives at the Pantry. More volunteers also help distibute the food on Saturday mornings. More volunteers are always welcome! The Pantry served 6,120 individuals in the last 3 months of 2016. Many homeless, who may not qualify for other services or food from other pantries are welcomed here. 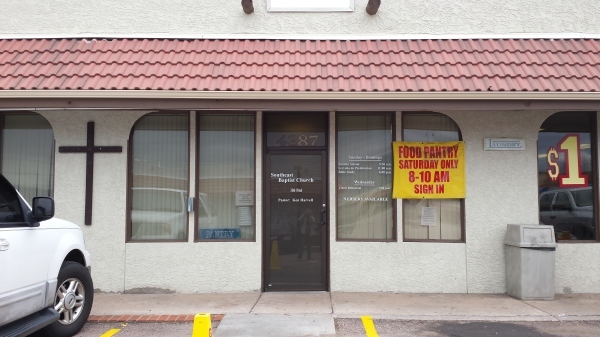 The pantry serves people of all ages, ethnicities, religions, etc. No one is turned away. There is great need in this area for the Southeast Baptist Food Pantry! 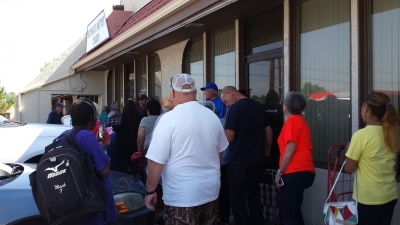 A Pantry Worship Service is held every Saturday before the food distribution. 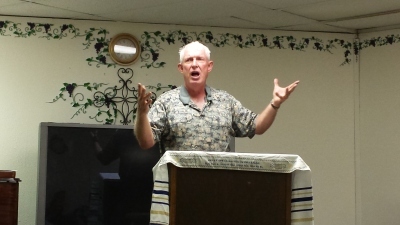 Pastor Ken presents the gospel of Jesus Christ during a worship service held at 9:00 am. on Saturdays before the food distribution at 10:00 am. Once again, all are welcome, but attendance is not mandatory to receive food . Please consider donating to this important Colorado Springs ministry!